DFN confirm its international vocation and will take part for the first time at “IDF Oman 2018” from 6 to 8 January, Pavillon Casa Médinit, Stand H2A. 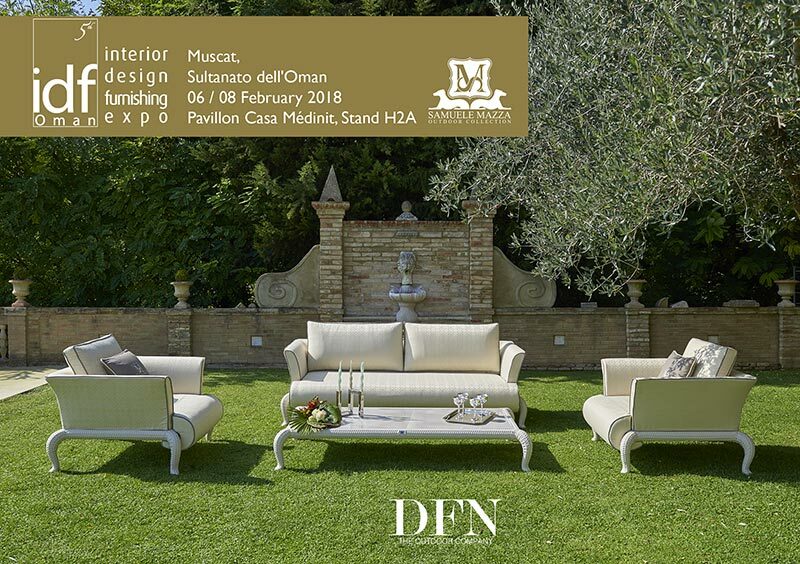 IDF- Interior Design Furnishing Expo, at its fifth edition, is the main international fair in Oman for interior & outdoor design, décor & furnishings sectors, is the showcase par excellence for Made in Italy’s products and technologies which expresses recognized high quality all over the world. The key objective of the exhibition is to display the latest in technology, usage of materials and innovative approaches in the given sectors. The exhibition is the answer to the growing demand of luxury products that Oman’s market required.